Here there is one good news for Motorola Atrix 2 users, yes Motorola released the Android 4.0 Ice Cream Sandwich software update which makes your Android powered Motorola smartphone even better and more powerful than ever. The update includes the numerous enhancements and improvements. Once you downloaded this software in your smartphone you cannot downgrade back to Android 2.3 (Gingerbread) software. After downloading and installing the Android 4.0.4 (Ice Cream Sandwich) software release, you will notice many improved features and new user interface. Updated colors, font, icons, and animations. Added adjustable text size. Enhanced lockscreen to include quick access to dialer, text messaging, camera, and homescreen. Created a reorganized and easier to navigate settings menu, including toggles for airplane mode, Wi-Fi, and Bluetooth®. Redesigned keyboard for faster input with improved error correction and word suggestion. Added new home screen folders that let users group apps and shortcuts by dragging one onto another. Updated All Apps screen to include access to both Apps and Widgets. Enhanced notifications window to include access to settings menu and new swipe to dismiss functionality for individual notifications. Improved the camera with time-lapse video, snapshots during video recording, ability to use volume keys as shutter button, updated zoom control look and feel, and flash-assisted low light focus. Updated webtop interface to an Android 4.0 tablet-like experience with key apps optimized for the resolution and screen size of external monitors. Enhanced Email app with address auto-completion, quick response emails, and searching across folders and subfolders. Upgraded voice input engine to allow for continuous dictation, pausing, and inclusion of punctuation. Added latest versions of AT&T apps, Pre Loaded apps and Google apps. Added facial recognition technology for a new way to unlock the user’s phone. Added capability to take screenshots by holding both the power and volume down keys for a few seconds. Replaced the contacts app with the new People app, which includes larger pictures and rich profile information. Added SMARTACTIONS™ app that intelligently automates routine, everyday tasks and suggests ways to personalize your phone and make your life easier. This app can help you extend your battery life and do things like automatically send a text to certain missed callers. Social Status widget and the Social Networking Apps & Widgets have been removed in favor of 3rd party apps and widgets available from Google Play Some 3rd party social networking apps and widgets may be preloaded with this upgrade. Universal Inbox app has been removed with the Email app allowing consolidation of messages from various email accounts. News/RSS Feed, Date & Time, IM Presence, Latitude, Airplane Toggle, Bluetooth Toggle, GPS, Toggle, and Wi-Fi Toggle widgets have been removed. Other preloaded widgets, settings options, and 3rd party downloadable widgets are available as alternatives. Due to Adobe’s discontinuation of Flash development, Flash Player is no longer. Pre loaded to this device. Existing installations of Flash Player may or may not play Flash video properly. Alternatively, the new HTML5 standard is supported for Web video. So, what next? 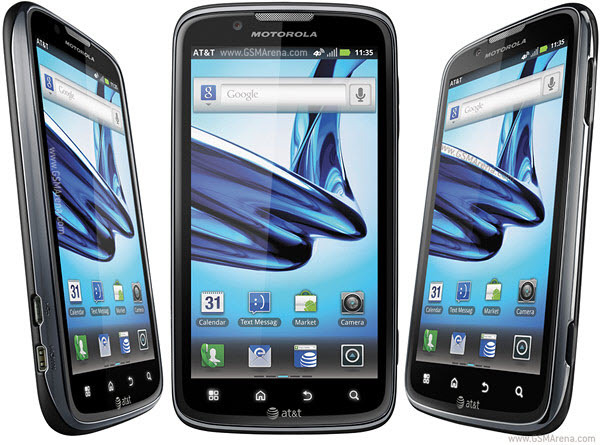 upgrade your Motorola Atrix 2 device immediately and enjoy its features. I went to the system update and it’s has nothing, I’m still running on the older system and it says no update required. Any Ideas why?